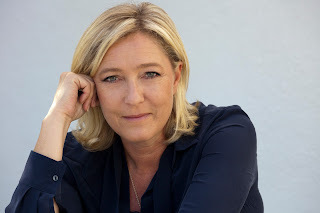 Speaking of elections - France is about to go to the polls and the French Trump, Marine Le Pen, is very possibly going to finish top 2 and face a run-off of her own. Despite a surging... communist?!? One of the frontrunners in the French presidential election, far-right leader Marine Le Pen, says she would suspend all legal immigration to France. The National Front (FN) leader told a rally that she wanted to stop "a mad, uncontrolled situation". Polls suggest she is neck and neck with centrist Emmanuel Macron, ahead of Sunday's first round of voting. Mr Macron warned voters that choosing far-left candidate Jean-Luc Mélenchon would be like Cuba without the sun. Odds are that at the end of the day Marcon will win the runoff. But they claimed similar outcomes for both Trump and Brexit. Stay tuned.